Sasha and Randall celebrated their Center Club wedding with family and friends on the most magical of nights, New Year’s Eve! Their wedding had the perfect balance of soft whites and bright golds which complimented the backdrop of the Center Club. Their first look seriously melted our hearts, and provided a quiet opportunity for Sasha and Randall to take a moment to themselves. 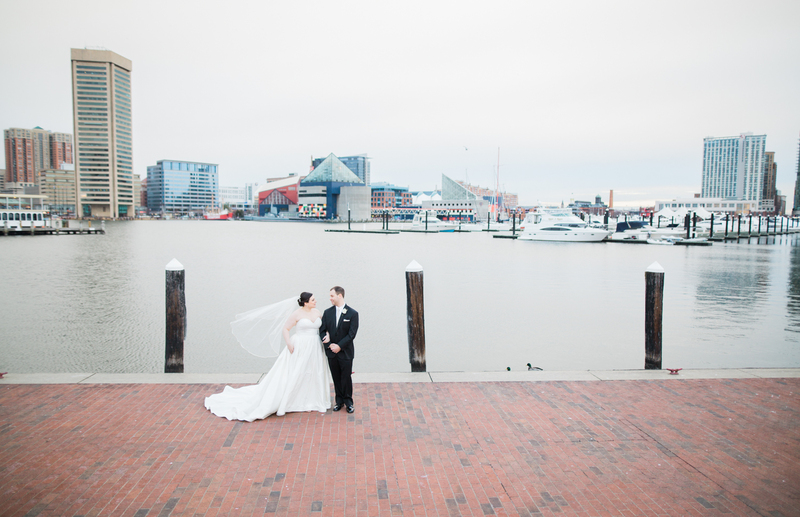 We were also able to sneak away and capture the setting winter sun over the harbor. Their gorgeous candlelit ceremony enhanced the magic of the night, and definitely set the tone for what was to come! The night ended with a literal bang when family and friends rang in the new year with the harbor fireworks. Sasha and Randall’s wedding was truly a night to remember, and we were grateful to take part in it. Check out the bottom of our post for all of the amazing vendors who made their day so magical.